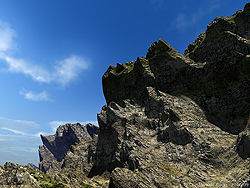 Description: Triple stacked warped terrain with materials from the Stacking Terrains set, the clouds from the Object Clouds 2D & 3D set (both available at bryce-tutorials). Ambient light by the Wasteland3_SD_SC HDRI from the Island 2 set (available at Daz 3D), the key light by the sun. 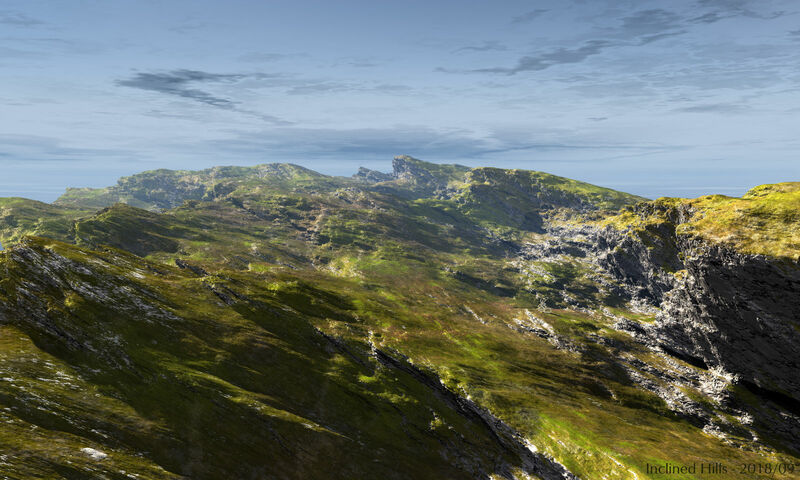 Landscape with inclined hills.